Research has proven that exposure to cold causes increased stiffness in both muscle and connective tissue, including tendons and ligaments. A recent human study also confirmed that dampness (relative humidity) is correlated with increased joint pain and this effect is worse when the weather is also cold. The effects are magnified in older horses. “Sarcopenia of aging” is age related loss of muscle mass which gets worse if the horse is not regularly exercised. Age also causes increased tendon and ligament stiffness/loss of flexibility and lesions develop in the core of flexor tendons. To top it all off, muscle is less strong in the cold because energy generation becomes less efficient, allowing more energy to escape into the cells as heat. The end result of all this in its mildest form is horses which have a wooden, stiff movement. In the worst case scenario they are so severely affected that getting up from a down position becomes very difficult or even impossible. Fortunately, this scenario isn’t inevitable. 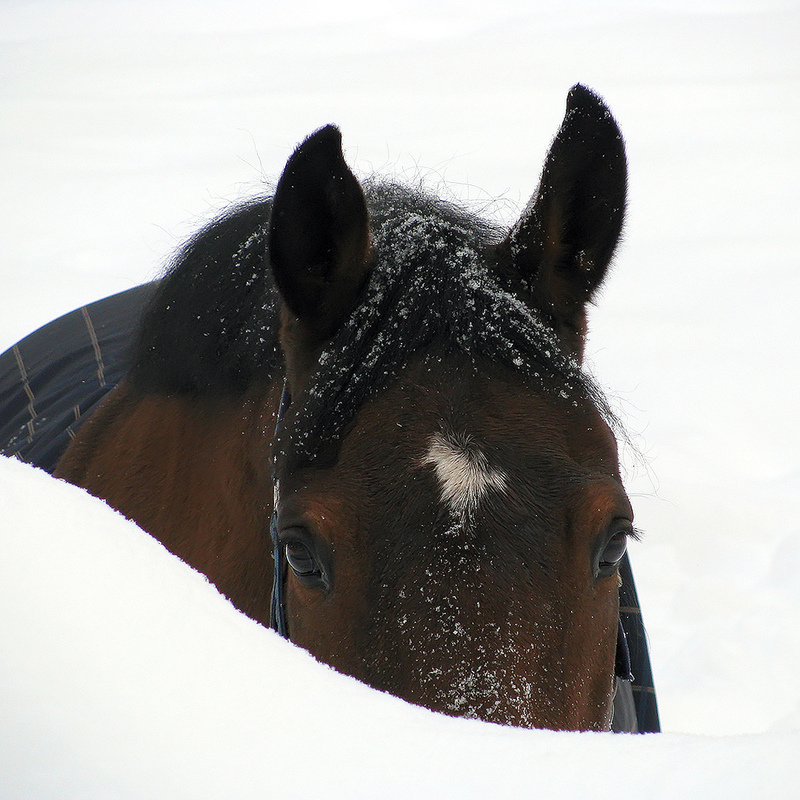 All horses require an adequate place to shelter from precipitation and winds in the cold. For the horse prone to cold related stiffness, it’s critical. Blanketing to preserve body heat and support muscle energy generation and soft tissue flexibility is also desirable. 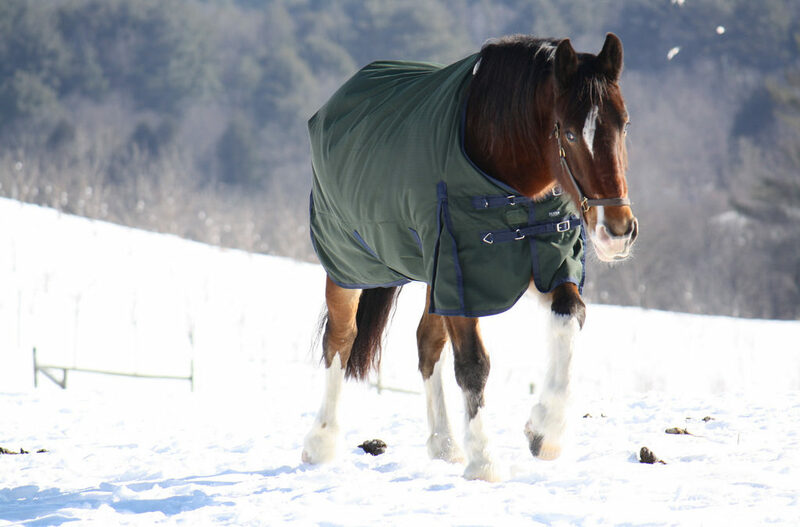 For horses prone to stiffness, don’t wait until they are shivering. If the hocks or knees are known to be an issue, look into Neoprene or lined boots to keep the joint warm when the horse is confined and/or overnight. Wraps can also be used for the lower legs to protect those joints and the tendons and ligaments. Lined shipping boots with Velcro closures are often a good option because they cover from below the knee to coronary band, are very warm and can’t cause problems related to slipping and too much pressure. Hoof boots with a liner between the bare rubber and the horse’s sole are also helpful. Supplements to support homeostatic defenses against cold-related oxidative stress can be very helpful. Look for ingredients like Devil’s Claw, Cat’s Claw, Turmeric, Boswellia and Yucca. On the nutrient end, good choices include MSM, berries, Resveratrol, Quercetin and Grape Seed Extract. Finally, bolster normal joint cartilage maintenance with the big three of Glucosamine, Chondroitin and Hyaluronate, plus connective tissue support in the form of Green-Lipped Mussel and hydrolyzed collagen. 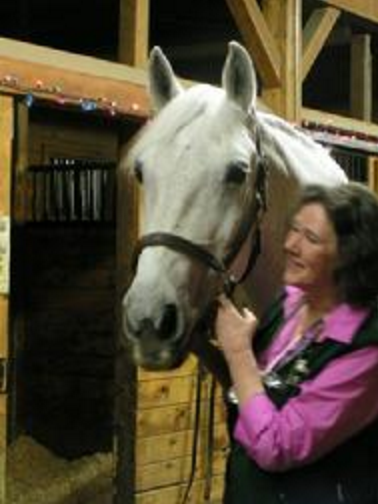 Winter is a stress on any horse, even moreso for seniors. Supportive measures don’t have to be complicated if you understand the physiology and the tissues you need to target.